Former Aberdeen player Jack Grimmer is hoping to heap the pressure on beleaguered Manchester United manager Louis van Gaal by knocking his favourite club out of the FA Cup this evening. The 22-year-old right back will line up for League One strugglers Shrewsbury Town when they host the Red Devils in the last 16 of football’s oldest competition in the biggest match of his career. Grimmer secured the Shrews’ chance by scoring the added time winner in a 3-2 victory against Championship club Sheffield Wednesday, when they had trailed 2-1 with three minutes remaining. The Fulham defender, a Scotland under-21 international, is on loan at the New Meadow side until the end of the season. The Aberdonian is relishing the prospect of facing Manchester United and said: “Manchester United is the biggest club in the world for me. “I was a boyhood United supporter so it will definitely be a special night. “Sir Alex Ferguson was the reason why I became a United supporter, simply because of what he did for Aberdeen and then went on to achieve at United. “It was something that will never be replicated. “To win the European Cup Winners’ Cup for Aberdeen by beating Real Madrid in the final is something that will never be forgotten. Grimmer was substituted at half time during Shrewsbury’s most recent game, a 3-2 win at Blackpool last Saturday, because of a hamstring strain. 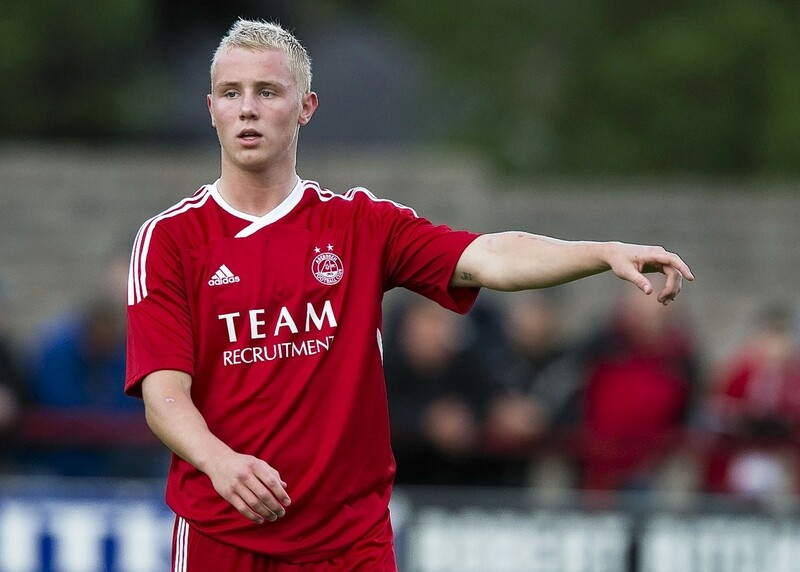 But the former Westhill Academy student, who left Aberdeen for Fulham in 2012, says there is no way he will miss out on the chance to take on United. He said: “I will be fine for the game. The hamstring tightened up a little bit during the first half against Blackpool. “Coming off was just a precaution. “This is the type of game where even if I had broken my leg I would still be going out there. “Every player wants to play in a game like this as for most players only a handful of them come up over the course of a career. “It will be a very special night. I have family and friends coming down and that just adds to it. “They have all been texting me and wishing me well and there is a real buzz about the game.